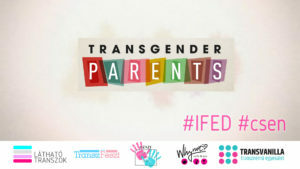 To celebrate #IFED2018 we are going to held meeting for all who support the rainbow families. In the program a small presentation and interesting discussion will be. 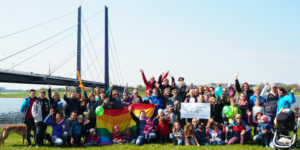 To celebrate #IFED we are going to held meeting for all who support the rainbow families. In the program a "living library" and interesting discussion will be. 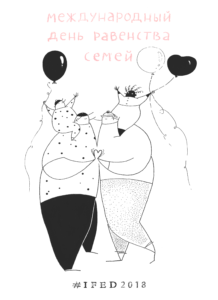 LGBT initiative group "Coming Out", initiative group "Rainbow Future" with support of Russian LGBT Network invite to the 3rd celebration of IFED in Saint-Petersburg, Russia. A merry holiday for LGBT families and their friends! The conférence is about les nouveaux modèles familiaux présentation sur la constitution de la famille et la construction identitaire de l’enfant, une présentation d’un jouet communiquant facilitant les relations interpersonnelles sera faite lors de la rencontre. Un concours de dessin sera organisé pour les enfants. 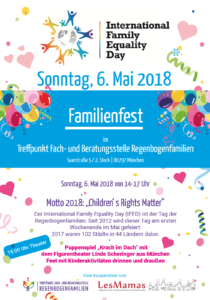 Families` Picnic in celebration of the International Family Equality Day, including music, some group games, to help people meet each other, children`s activities and a family group photo. 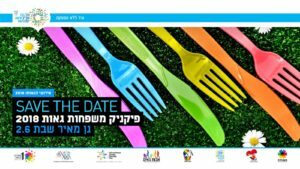 This event is organized by The Keshet families organization, Proud fathers organization, The Aguda – Israel’s LGBT Task Force ,’Mamadyke’ - Lesbian Moms, Tehila - the Israeli PFLAG group and volunteers from the community.